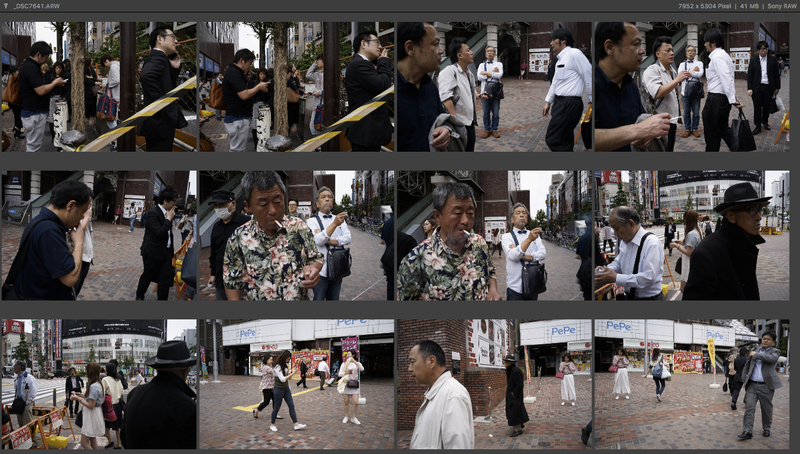 Returning from two intense weeks for street photography in Tokyo, it’s a bit of a tough job to sum up what happened. Two weeks of tokyo street photography – to put it short: almost all of the things that people predicted to happen happened, plus the complete opposite. What a trip! Every time you think you think you understand what you see, it turns out to be completely surreal or at least somehow different. Car on driveway, Tokyo 2016. The first week I meet some old and new friends for a little photography workshop: Maciej Dacowitz is always good for pushing me to my limits and beyond. Truth is, at times I enjoy cities too much & may spend a little too much time with hanging out, meeting people, enjoying the local food and going out. Maciej forces me to focus on photography in a very industrious and disciplined way. He is a great educator & nice chap to spend time with. We have a little different styles & expectations regarding what a good photograph is from time to time, but the better it feels once he accepts one of my frames that do not necessarily always obey his strict rules. Also feels good to produce one of the clean well composed shots he is after, of course. Tokyo street photography is in some aspects very easy, yet extremely hard in others. People don’t really react negative to you, but will most likely hush out of your frame as quick as possible once they spot you. Sometimes you are lucky […]. See yourself in the attached contact sheet. One new thing I tried was slow sync flash images. I enjoyed it so much I actually bought a flash for the Sony I do most of my digital stuff with. Thank you for not using a Leica/Nikon/ anyhow flash socket compatible proprietary system, Sony! Beside this rant, the Sony flash is pure bliss. Once I thought I knew how tokyo street photography works, I found Shinjuku nightlife to be something completely different. Aftert having spent the first week with the workshop group mainly scouting the usual suspect areas, the second week that I spend my tokyo street photography trip on my own holds some new surprises. Negative & positive reactions to my inked skin, decelerating the speed I take photos using film cameras, losing a whole day of pictures due to my lacking ability to load an old analog rangefinder properly. I just added “Part 1” to this post, since I have to close down this one now. Thanks for reading that far, and feel free to ask or give feedback on anything that comes to your mind.